I got quite a bit of feedback on the different possibilities for backgrounds on this little mini, and of course the opinions varied as much as they possibly could. I think this is a good sign that my instincts are generally good, since all of them could have led to nice results, albeit all quite different in their overall effect. In the end, I went back to my partner's profile and tried to get a holistic sense of what she would like. She wasn't very involved in commenting on the photos or in the discussion threads, but from her description of her likes and dislikes, I finally went with the Nicey Jane yellow fabric. 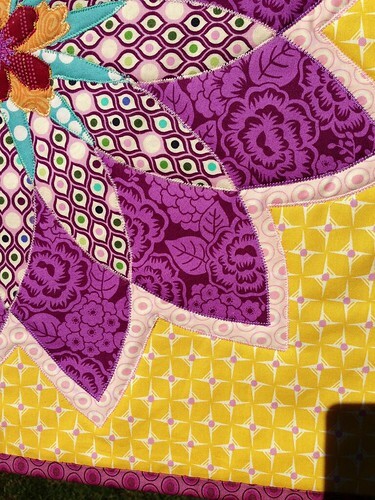 I used a narrowish zigzag to quilt the segments of the flower, and I think it looks nice. Just to recap, I used Johanna's Royal Bloom tutorial for this flower, but instead of English paper piecing, I used raw edge applique and added a couple of die-cut flowers for the centre motif. 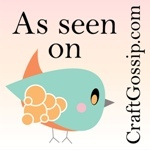 It was relatively quick and easy, and the impact is all bang for the buck. I think I'll have to try this one again, for myself this time! I thought I liked the red background until I saw your finish, the yellow with the little bit of purple was the best choice. 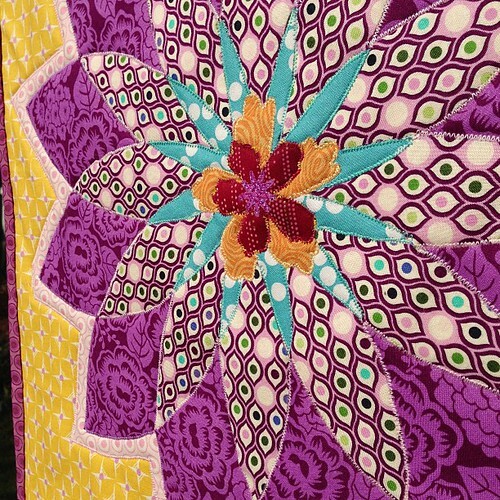 That is one lucky swap partner, beautiful quilt, wonderfully done. I really like the yellow background and the binding is perfection. It's really beautiful! You did a fantastic job, lucky partner! I love the colors. Your little quilt is so cute!! Send it to me...it's right up my street! It looks lovely. Well done. It's beautiful. And the little bits of purple in the Nicey Jane print work perfectly with the purple leaves. I hope you writе again verу ѕоon! Wow! 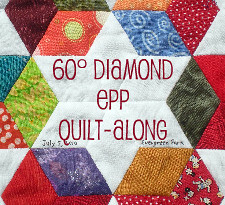 Your quilt is gorgeous!!! I love the colors and the fabrics. 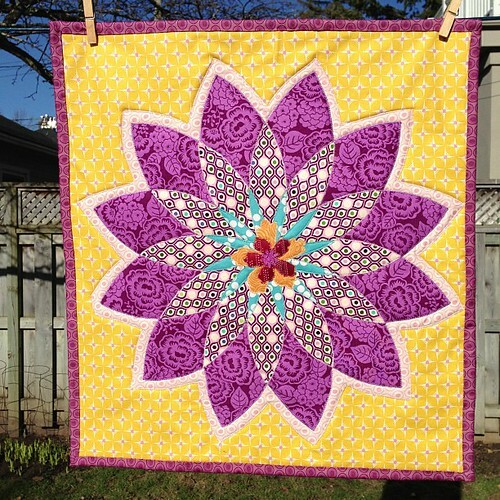 A beautiful spring quilt.